It’s time to choose health, and know that YOU are the one choosing it. exploring what may be blocking you. fun, playful, simple, focused way. It’s time to throw color on your health and wellness journey. Create change, step into the garden of your vibrant life. walk down a garden path. understanding on how to maintain it. another and still not feeling in control of what is happening in your body. If you want to be empowered with your health. innate ability to create healing within yourself. paths that are full of hope, joy, fun, color, vibrancy, and YOU! well-being you want and deserve. Our tendency is often to move away from illness or dis-ease, rather than move toward wellness and health. We create complaints, rather than intentions. This workbook invites you to play and explore as you draw yourself forward to success. setting up your healing intentions in an optimistic, fun way. 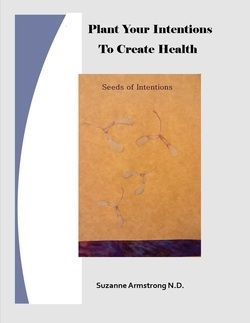 with the universe, focusing the resulting energy toward your vibrant health goals. 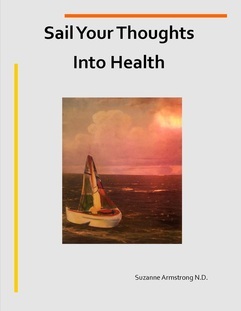 On to Sail Your Thoughts into Health. we could not control all of them. that will sabotage our vibrant health. Let's make new choices as we examine what might be sabotaging our vibrant health. to support your health and well-being. Through fun, creative exercises – you'll learn how to control the inner noise and direct your own frequency. what's going on in your head, and how it relates to what's going on in your health. which we filter the world. and identity beliefs, finding tools to adjust your beliefs and create new ones. you make about how to heal. 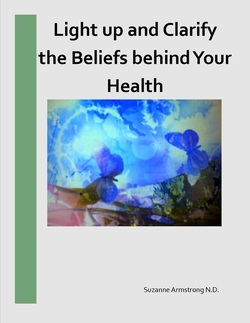 Beliefs can have negative effects, such as"I am a smoker" or "My family has heart disease". They can also have positive effects, such as “I never get colds" or "My family has great stamina". that may be harming you. helping you get what you want and need with your health. Are you someone who feels that no matter what you do it doesn't work? Are you tired of "trying"? and attitude you choose to carry you over the challenges in your health. 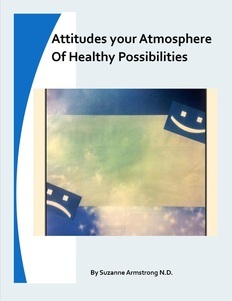 What attitudes you need to be in place to own vibrant health and how to maintain those attitudes. Doing this in a fun and creative way, simplifying it down to what works for YOU. gliding you through into calm blue skies. with your innate healing ability.